Mr. Staph’s speech. Man, I was getting pumped up! Saturday, I had to work in the morning, but finally there was no long run scheduled! After working until the mid-afternoon, I grabbed some perfect pre-race fuel (sandwich from Beet Jar and kombucha from Cleveland Tea Revival and a nooma) and was off to the Race Expo. Oh my goodness- I don’t know if something changed but the expo this year was SPOT on. I got my nails done, got my cholesterol and body fat checked, tried some yummy samples of gels and bars, and even won a t-shirt from Brooks! I was like a kid in a candy shop. B & I at the Expo. American Greetings photo opp! Saturday night, I got a great pre-race meal. I had tickets to the pre-race pasta party, but I’m not big on pasta before races; not sure why, I love pasta any other time – so we headed to Phuel for a healthy carbolicious meal – I opted for their seasonal salad with a portobello panini. Pre-race “phuel’ (get it?) Yup- another veggie sandwich. B and I hit got to bed early, after watching some Luther and a documentary about the NY Marathon (Live to Run). I had some dessert and tea to get relaxed (yup, I love sweets before a race). I of course laid out my clothing and everything ahead of time. It was scheduled to be rainy and 70s, so I knew I’d need a hat and a tank top. Sunday morning was race day! It was drizzling, but looked clear for race time, so I kept the hat at home and off we were. It was a GREAT race. Yes, it was humid. Yes, I hate the rolling hills of the shoreway at the end … but I loved almost every minute of it. And post-race I kept up with the tradition and made it to brunch with my morning running buddies, Erica and Nicole. Without these ladies, I undoubtedly would not be the runner I am today- so thank you! post-race refueling. Beers, water with cucumber and chorizo bean chili! 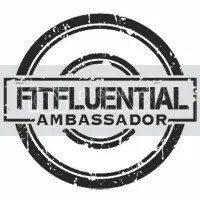 Do you run with people / have a running group? After a race, how long do you take up? About two weeks ago, B signed us up for my third half marathon this year (if you may remember, it was my goal to do three this year). The race was the Adirondack Half Marathon – a race known for being beautiful, around Schroon Lake in Upstate NY in the fall during the beginning of the peak foliage season – but also known for being somewhat challenging as it goes through the rolling hills of the Adirondacks. In other words – it would be a perfect excuse to travel for a mini runcation! Anyway, our friend from college Mitch was also doing the race- and he had signed up for the full marathon. So – we couldn’t really complain, could we? Nothing a few weeks of hill training and some long runs couldn’t prepare us for right? Well … not exactly. B signed us up for the race about 10 days before the event. Whoops! Luckily, I’d been doing some somewhat long runs throughout the summer/early fall with Nicole (one of my morning running buddies), but nothing too long (no more than 10) and definitely nothing hilly. So needless to say, this was definitely the least prepared I’d ever been for a half marathon in my life. And when I saw the race day forecast – sunny and 80+ degrees (the race even started at 10 a.m. – so late! ), I knew my goal would be just to survive the race and not walk any of it (not counting the water stops). So, how did the race go? The cheering – despite being sparsely populated, some areas of the course had some great cheering sections. We ran through the Word of Life camp at around 5 or 6 of the half marathon and their campers were amazing. The rumors were true – we could hear them cheering well before we got there. It was great! The race was super organized. There was no confusion as to where to pick up our race packet, and they even let Mitch get our packets for us as we weren’t arriving until late Sat. night. The morning of the race there was clear signage as where we could park (and people to direct us as well), where to get on the bus (they bussed the half marathoners to the 13 mile marker so we all finished at the same point) and everything else was very smooth. The race water stops were great – they were every other mile until mile 20 and then every mile. And being 85 degrees around noon, I definitely took advantage or nearly every stop. And there were some interesting snacks at some of the stops – fig cookie bars and M&Ms! The course was beautiful. I was a little worried that I’d get bored running through the same scenery the whole time (I’m generally not a fan of running through nature-ish courses…I know – I’m weird), but the foliage and lakes and houses were gorgeous. Plus, I was mentally challenged with all the hills so I made an effort to just enjoy the fall colors. The post-race refreshments were out of this world – typically at the end of a race there’s some water, maybe beer, bananas, bagels, milk and some other goodies (I’ve seen races with ice cream or yogurt or popsicles or even something like a breakfast casserole or sandwiches). But this race had all of the above – soda, water, ice cream, bagels with different types of cream cheese, yogurt, tons of different types of fruit (bananas, melons, watermelon, grapes, etc. ), and desserts like brownies, cookies and even gluten free options. It was amazing – I wish I was hungrier after a race! There was a post-race party for all participants – runners and volunteers – at a local restaurant. We stopped by and there was a free huge buffet – chicken, fish, beef, salad, corn, pasta, potato salad, dessert, fruit and more. I’ve never seen that during a race before! Thanks to Mitch’s wife Becca for taking the photo! The good people of Schroon had kindly paved the road probably the week before the race. So while this meant no pot holes to run around, this also meant the blacktop was scorching hot to run over and in the sunny 80 degree heat, it was reflecting back onto us. Which meant an even hotter run. The snacks during the race- yes, they’re also under “the good” but at the same time, I really would’ve appreciated some standard race goodies like Gu or Hammer Gel. Especially when I felt my energy levels were low around miles 8 on. The crowds – some areas of the run were pretty sparse. The places where people were cheering were great, but there were many spots along the course that had no one. The hills! Luckily for us, the first few miles of the half marathon were flat and the second half of the course is flatter than the first half, but still – those hills were rough for me. We hadn’t trained with hills as I mentioned so I was definitely struggling. So how did we do? B and I finished in just under 2:10 which was better than I imagined. Yes, it was more than 10 minutes slower than my other races this year (both under 2 hours), but considering the heat, hills and lack of true training and preparation, I’m pretty proud of it. Mitch’s family was there to cheer us on at the end, and his mom and wife had even made signs for us – my first race sign! Our AMAZING sign – Thanks so much to Mitch’s mom and wife!!! What’s your ideal race temperature? What’s the hottest weather you’ve ever had a race in? This was definitely the hottest half marathon I’ve run. 83 degrees is not my ideal running temp at all! What type of scenery do you like for long runs – natural, trails, urban, suburban, beach, etc.? I like a good mixture – but typically prefer urban and water scenes to run by. It’s fall race season! What was the last race you ran / next one you have coming up? What’s the latest you’ve ever signed up for a race? B and I once signed up for a 5k the day of – but 10 days before a half marathon is another record for me. This past weekend B and I participated in the Inaugural Cleveland Rock N Roll Half Marathon! It was our 3rd half marathon we’ve run together – and right in our little city of Cleveland. We didn’t quite make our goal (under 2 hours …) due to the more-humid-than-we-would’ve-liked weather and hills (and me twisting my ankle at around mile 5 … woops) but I would say it was a FUN RACE. Long lines before the race: I know this isn’t unique to this race but porta-potty lines WERE SUPER LONG that morning. We waited about 45 min before getting to use them (what can I say, pre-race hydration routines and jitters make me have to pee! TMI?) and then missed our corral and the pace team we were going to follow. So instead of following the 2 hour pace team in Corral 3 we started with Corral 5. The hills: Yes, we ran the hills a few times in training and yes we ran in San Fran and the even hillier it seemed Seattle a few weeks ago, but I was definitely not feeling good about the hills. The hill around St. Malachi (before mile 5) killed me – I didn’t recover until about mile 7. And the Tremont Hills? I felt fine through those, but they nearly killed B who was already dying in the humidity. Could the route have been flatter? Yes. I mean really, it’s Cleveland – we have 3 hills and the race included all of them PLUS one I didn’t even know existed. The humidity: The rain thankfully held off – but the humidity did not. The weather was in the 70s (not too bad) but humidity was in the 80-90 percentages the whole time! An action shot my parents took – B is behind me in green, and Mary in orange! The cheering: I cannot thank my parents enough for coming all the way out from NY to cheer us on. It was SO GREAT to hear them cheering our names, seeing them at our planned cheering spots and surprising me at the finish line. Seriously, the best part of the race. The music: Music at nearly every mile? Yes, please! It was SO awesome to see and hear all the bands and so motivating! Can every race have different bands along the way? The crowds: I love running in races that have a lot of people – IF it’s managed properly. And in my experience, it was. The timed starts with the different corrals ensured the race wasn’t too crowded at any time. And the crowds gathered to watch the runners? Even better. There’s nothing like seeing people cheer you on – and spaced out pretty evenly throughout the whole route. The post-race party: Free beer, a Gavin DeGraw concert for the public and more? This was awesome. Way to go Cleveland for hosting an awesome inaugural race! My parents cheered us on!!!!! What was the last race you ran? Did you have a goal? Did you meet it? What’s your perfect running weather? Have you done any Rock N Roll races? How did they go? Sushi 86– This is actually my go-to downtown sushi restaurant. B and I had a stint where we were going there once a week anyway, so I’m excited that they can get some funds to increase their space and start offering sushi-making classes, meetings and so on. Soulcraft Woodshop– This is a furniture gallery that will showcase and of course sell work by the woodshop’s local designers and furniture makers. Bright Green– This is an organic and natural products store – they feature products for children (like organic baby blankets), candles, tea, home supplies and more. Many of their products are actually made on the west side! POUR Cleveland– This hand-crafted coffee shop hasn’t opened yet, but I’m SO excited for it to arrive. They will be working with Counter Culture coffee shop, where one of my good family friends works in North Carolina. They will also have tastings and classes, plus pastries. They each told us about their business plans, why they chose downtown Cleveland, challenges of being entrepreneurs, and so on. If you’re in Cleveland I definitely recommend checking out the 5th Street Arcade at some time and seeing all the new shops! 2. Half Marathon Training and Running with Friends: Okay, so I finally started training for the half marathon I’m running in October. Yes, I’ve been running like 25-30 or even more miles a week so I know I’m in fine running shape, but I haven’t been following any sort of schedule or doing any long runs so it I guess it’s time to actually get back in training mode. Training means that for the time being my weekly mileage will be cut down (the first few weeks are pretty lame in terms of mileage and I won’t be running every day) but I will be focusing on some speedwork with tempo runs, and also allowing my body to heal during rest days. Imagine that! And don’t worry, the longer runs will come soon enough so I better enjoy the lack of intense time-commitment while it lasts. AND not only did I decide to start half marathon training, but I ran with friends twice this week! That’s right, I ran with people before work on Wednesday AND Friday. This is a new thing for me – but I enjoyed it. Cari and I ran Wed. morning – she had 2 miles on her schedule, so I ran 2 without her and 2 with her. Friday, I ran with Nicole, who I met through Bridge Builders. She’s training for a marathon and I hope to keep running with her as she trains and maybe even get in some longer runs with her. 3. My PB2 Arrived! Not only did I run out of PB2 a few weeks ago, but I also ran out of regular JIF peanut butter and am down to the last spoonful of our Smucker’s Crunchy supplies. Can you imagine that? Thank goodness, Amazon came through and my supply of PB2 came earlier than I anticipated. AND I ordered even more than last time – so hopefully I’m all set for a few weeks. 4. Patio Drinks @ Parnell’s: I love Parnell’s downtown. It’s one of those low key bars where I always feel welcome. There’s no need to dress to impress, and there’s almost always room on their patio. And it’s more than likely you’ll get a bartender with an Irish accent. #Justsaying. Anyway, this week I enjoyed patio beverages with Laura, Chris and Victoria, my old DCA City Advocate cohort. We haven’t all been together in a few months and we definitely need to start getting together more regularly – we used to see each other more than once a month! Not only was the company and beverages good, but I also got to meet a Twitter friend I’ve had for more than 5 years but never met in person. Being a social media person, I’ve gotten used to the fact that there are some people I know all about but have never met in real life, and vice versa — but meeting in real life is still super awesome! Patio Drinks @ Parnell’s Pub Downtown – Barrels as tables! I’ve been following @koskim since early 2008. Long before most had heard of Twitter. Good to finally have met her IRL today 5.5 years later. 5. Volunteering @ the National Senior Games: The National Senior Games are in town! What’s this you ask? It’s like the Olympics – it’s a multi-sport event but actually boasts MORE athletes! And just like the Olympics, it’s always held in a new city – and this year it’s in Cleveland! So right now we are hosting some insane number of athletes (like nearly 11,000), all ages 50+, and their families. Pretty cool huh? Tonight I’m volunteering at the Celebration of Athletes, which happens to be hosted by Olympian Scott Hamilton! I’m so happy to be not only volunteering with a few of my fellow DCA buddies, but also to help out (even if it’s just a tiny bit) with such a cool event that brings visitors to Cleveland. Scott Hamilton (center) will be at the event tonight. Pretty cool huh? He was an Olympic figure skater. And clearly also in Blades of Glory. Are you a fan of Olympic figure skating? Honestly, not really. I don’t NOT like it, but it’s not my favorite winter sport. I LOVE watching the luge and bobsled races. Are you on Twitter? How long have you been on there? YES! Obviously. I’ve been on apparently for more than 5 years. Do you have “Twitter friends” or friends that you haven’t met in real life? What is your peanut butter supply like? Do you prefer running with friends? Solo? Both! 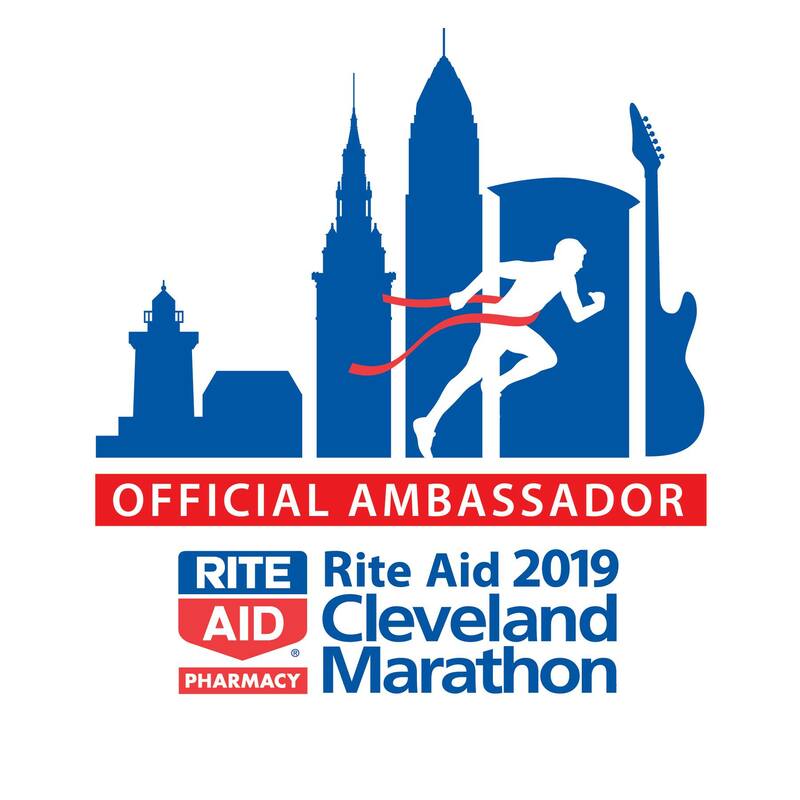 As I type this, it hits me that somehow, I have spent eleven weeks training for the Cleveland marathon. Eleven weeks. Holy cow! This week’s training called for Tuesday: 4. Wednesday: 8. Thursday: 4. Saturday: 16, for a total of 32 miles. For the first time in a while, I not only stuck to the mileage, but also to the days I was supposed to train. Tuesday: 4.29 – BRR! Last week I was running in shorts — this week I had to wear spandex, gloves and ear warmers! The sudden temperature change was unexpected and did NOT feel good! 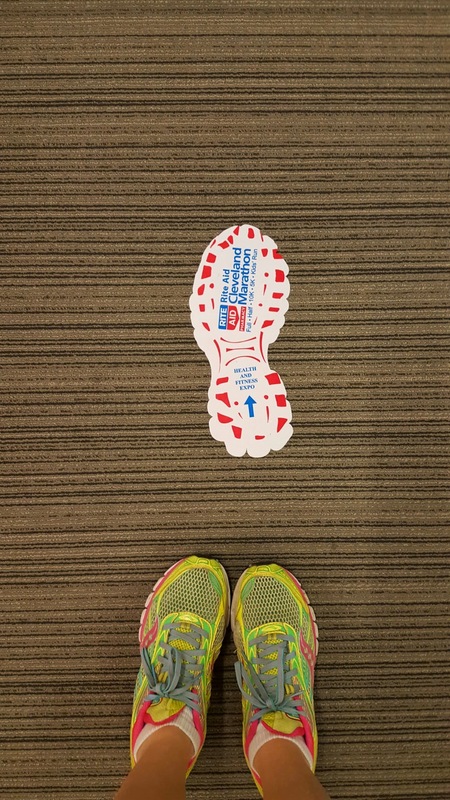 I opted to run in the morning, as I had my first DCA Advocate meeting that night and knew I did not want to have to run after our meeting. Good choice – after the meeting ended at 6:30ish, a few of us hung out and networked and had a few drinks at Flannery’s. I didn’t get home until after 10 – and was not in the mood to run at that time! Wednesday: 8.02 – Not a bad run at all. Was dreading going out, especially after how bored I had been on the last long run but it ended up being perfect weather and a great route. B picked out a new route for me and it was a great night to explore the Detroit Shoreway, Battery Park, and Ohio City! Thursday: 4 – Post-work run with B before hitting the movies for the Cleveland International Film Festival. More on that to come. Saturday: 16.15– Another new long run record for B and me! This Saturday morning, B, Dave and I met up for a run around downtown, Battery Park, Ohio City, the Detroit Shoreway, and east Cleveland and the Clinic. The first eight miles I felt great! Wasn’t bored, enjoyed the route and didn’t feel the need to refuel. We stopped at mile 8 to get some Gu and water and then headed back out toward the Clinic. Around mile 10 my right foot started hurting – the arch (or lack of arch) was aching and then it slowly moved up to me knees. I slowed down a bit, but when we got to mile 14 I was feeling pretty sore, but much better mentally than the week prior. We finished strong and proud of our new record. Weekly Total: 32. Another great week for miles and not too much pain either. Looking forward to next week’s down week (only 12 on Saturday!) and getting nervous for the bump in mileage to come (after that we go to 18 …. and then 20! ).